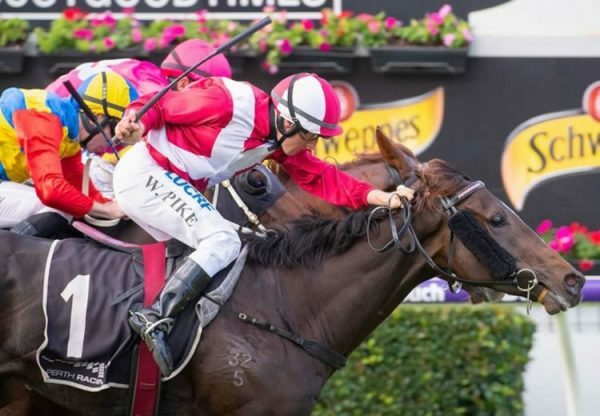 Greg Hickman and Corey Brown combined for the biggest payday in Queensland racing history on Saturday when Pierata (3c Pierro x November Flight, by Flying Spur) justified his short quote to win the $2 million Gold Coast Magic Millions 3YO Guineas. 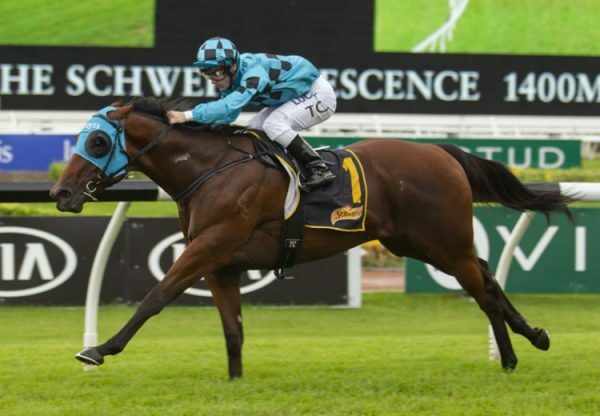 The three-year-old picked up $1.2 million for his devastating win on Saturday and an additional $500,000 bonus for claiming Racing Queensland's Summer Crown after feature wins at Doomben last month. Saturday's Guineas victory came courtesy of a brilliant ride from Corey Brown who, after settling in a three back position on the fence, plotted an inside path to victory over the final furlong of the race. 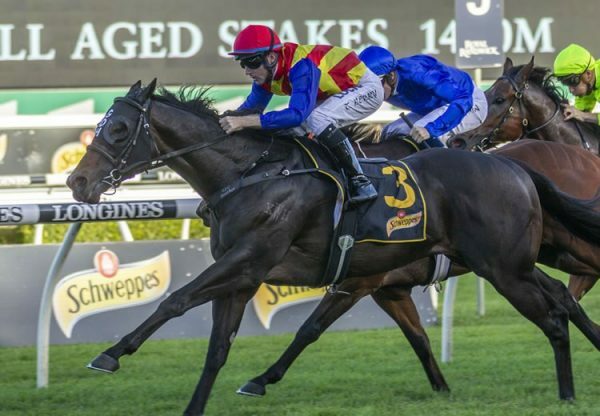 Sent out a well backed favourite by punters, Pierata scored by nearly two lengths in the 1400 metre feature taking his overall record to four wins from eight starts. "It's everything," said a delighted Greg Hickman. "It's such an achievement to be able to do this, we've been up here for eight weeks and the horse hasn't put a foot wrong. "Corey's got a big opinion of him, he's stuck with him for four runs and he's justified everyone's faith in him today. "He'll improve again, next preparation you'll see a nicer horse again, that's the scary thing about it, he's just got so much improvement." 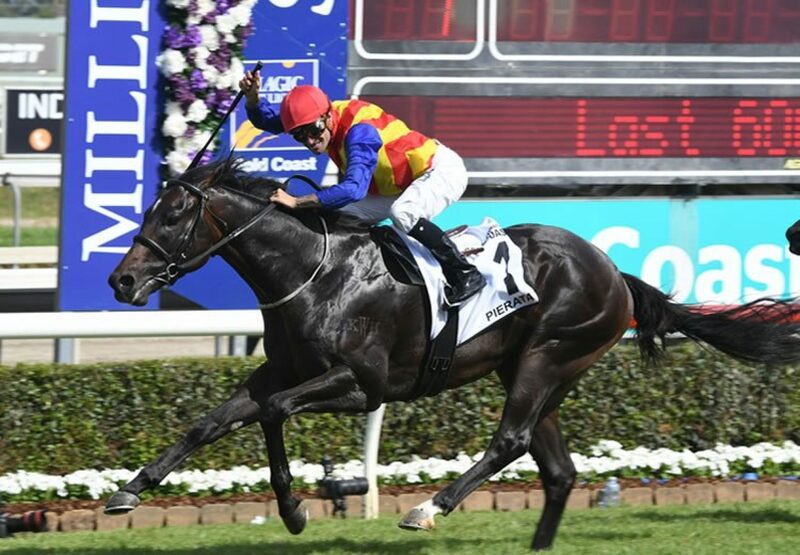 The win continued an incredible season for Pierata’s sire Pierro, who has soared to new heights in recent months and is Australia’s leading second crop sire by earnings, winners and stakes-winners. 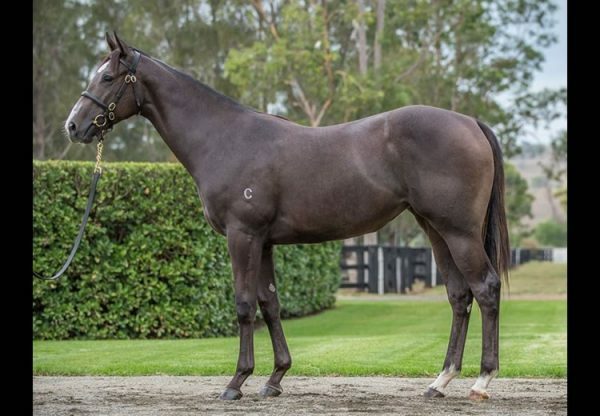 A $160,000 Magic Millions purchase for Greg Hickman from the Kitchwin Hills draft, Pierata was bred by Hobartville Stud and is a half-brother to Group III winning juvenile Ashokan. He is the fourth winner from Group III winning Flying Spur mare November Flight, who produced a colt foal by Rubick this spring, but has no yearling for the sales.